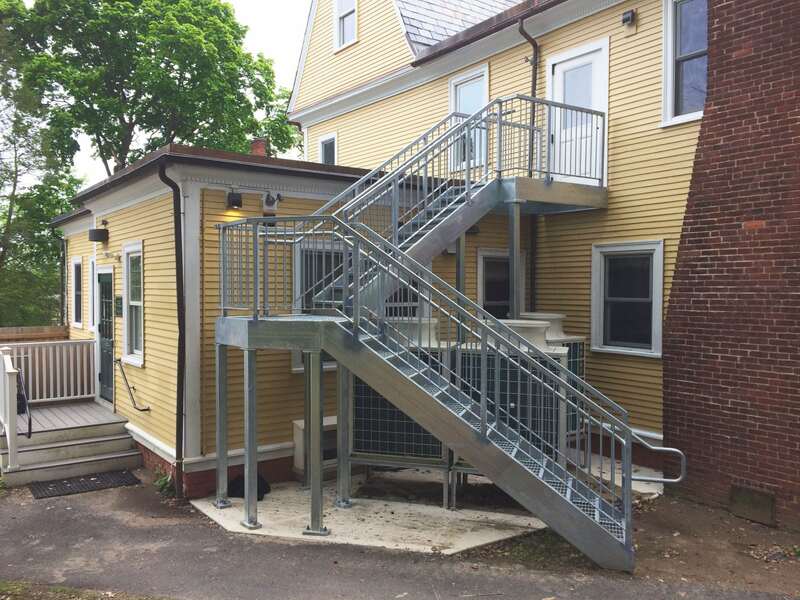 FACD helped Smith College on a fast-tracked renovation of a former dormitory into a contemporary office “swing space”. 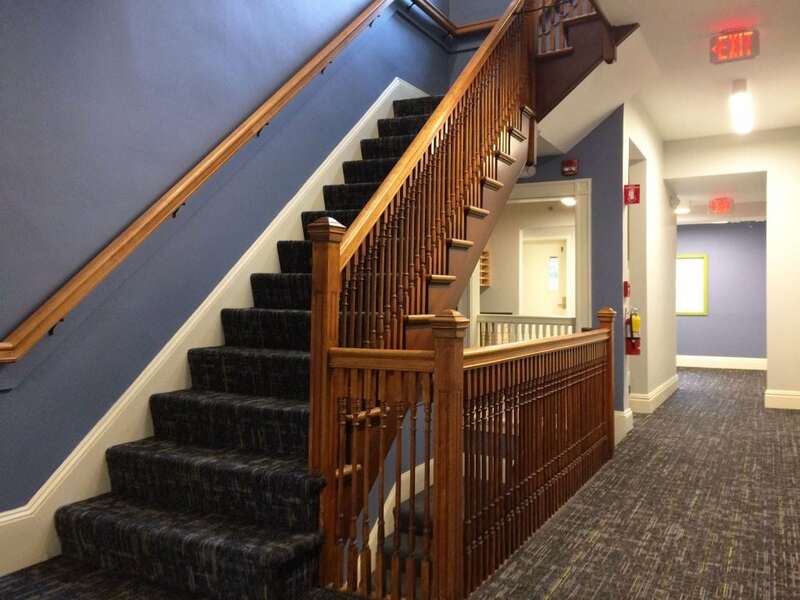 This project was uniquely challenging as the scope involved the full renovation of the two levels (dorms to offices) above a relatively new gluten-free kitchen at the ground level. 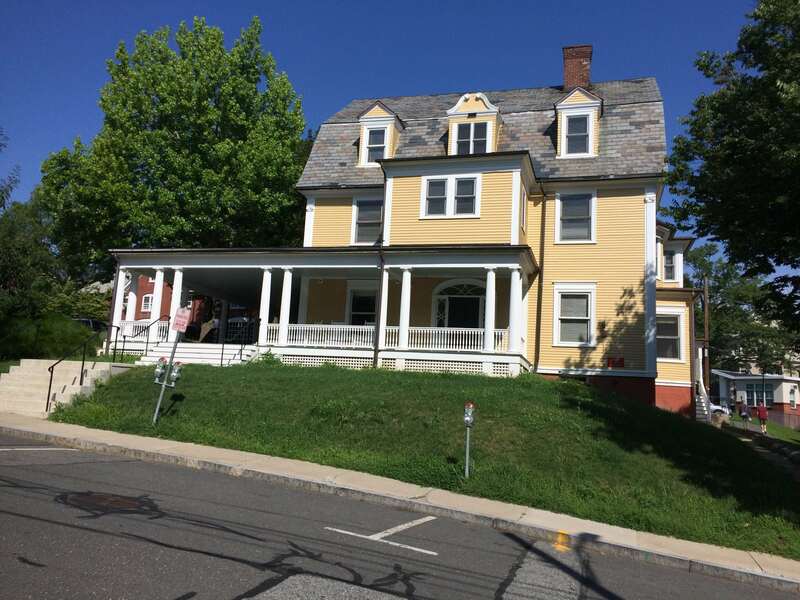 Any new feeds and framing for heating, air conditioning, power, and a new egress stair needed to be designed and bid within just a few months to meet the summer construction season when the kitchen was closed. Summer renovations also included reroofing and full envelope insulation. Actual renovation of the upper floors could then be finished at a more leisurely pace during the school year. A second means of egress was created on the interior between the 2nd and 3rd levels and on the exterior to grade.